Stephen King is so influential to horror fiction and American literature that reciting his accomplishments could take hours. King blended a childhood love of monsters with a master storyteller's gift for language and characterization to create nightmares that people have joyfully shared for decades. But once you're done with visiting the Overlook Hotel or hiding from Pennywise in the sewers of Derry or leaving your prom in a bloodstained dress, where do you go from there? Well, we have six books written by King at different points in his career that are all worth a read. The second book King wrote for the Hard Case Crime publishing line, Joyland is a blend of tough guy crime tale, ghost story, and coming-of-age narrative. The story is about Devin Jones, a young man who takes a job in an old amusement park, which leads to a tale of murder, magic, and the ghosts that can haunt old funhouse rides. This book is sweet and washed in a sort of sad nostalgia. Definitely worth a read. Early in his career, after he made it big with the publication of Carrie, Stephen King wanted to see if his later works were successful because of his writing skill or because of the value of his reputation. He wrote a series of novels under the pen name of Richard Bachman before being outed in the press. One of them was the cruel dystopian novel The Long Walk. The story takes place in a dark future and tells the tale of a group of teenage boys who volunteer as contestants in The Long Walk, a game where 100 boys march along the east coast. Every time they slow down they are given a warning and are executed after three. The last person alive wins anything they want for the rest of their life. This is one of the most bleak and intense stories Stephen King ever wrote and it has a strong cult following. It's great for fans of The Hunger Games and Battle Royale. Cycle of the Werewolf is a fantastic werewolf story interspersed with illustrations by legendary horror comic book artist Bernie Wrightson. The story takes place over the course of a year, with each chapter centered around one full moon. Each chapter is a tiny vignette of the werewolf's attacks on the population of a small town and the people trying to bring the wolf down. It's a nifty story and one that works well as bedtime reading for twelve sleepless nights. The one non-fiction book on this list, Danse Macabre is a collection of studies on the horror genre itself, taken from the notes King used while teaching various university courses on the subject. It's far from an academic tome, as King employs his conversational writing style to cover an impressively broad amount of horror's history, themes, and major works. This is a fantastic study of the genre and a great read for any enthusiast. 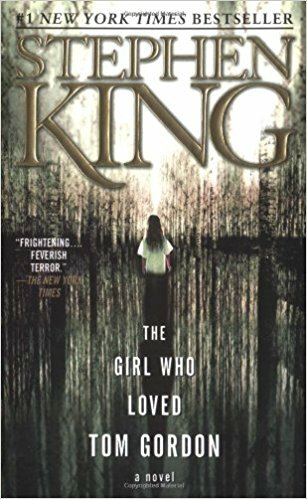 The Girl Who Loved Tom Gordon is a great combination between survival story and supernatural horror. It tells the tale of Trisha, who gets lost in the woods while on a hike with her bickering family. The deeper she goes and the more lost she becomes, she starts believing that she's being hunted by a horrible entity in the woods and the only source of hope that she has is the voice of her favorite baseball player, Red Sox pitcher Tom Gordon. A mysterious Buick is discovered abandoned at a gas station and is taken in by the local sheriff's office. It becomes a mysterious artifact from another world, and people disappear around it as strange phenomena begins to occur. After one of the deputies is killed in a traffic stop, his son tries to unravel the secrets behind the car. This book feels like one of the most Lovecraftian stories that King ever wrote. We never get the entire story behind the Buick and it remains an otherworldly mystery throughout the novel, but we get a glimpse into the nightmare reality behind it. A lot of longtime Stephen King's fans believe the Buick 8 comes from the same strange universe as the monsters in The Mist. Did we miss any favorites? Let us know in the comments and share this with other horror novel fans!